Panthers building a win streak with just one loss so far. 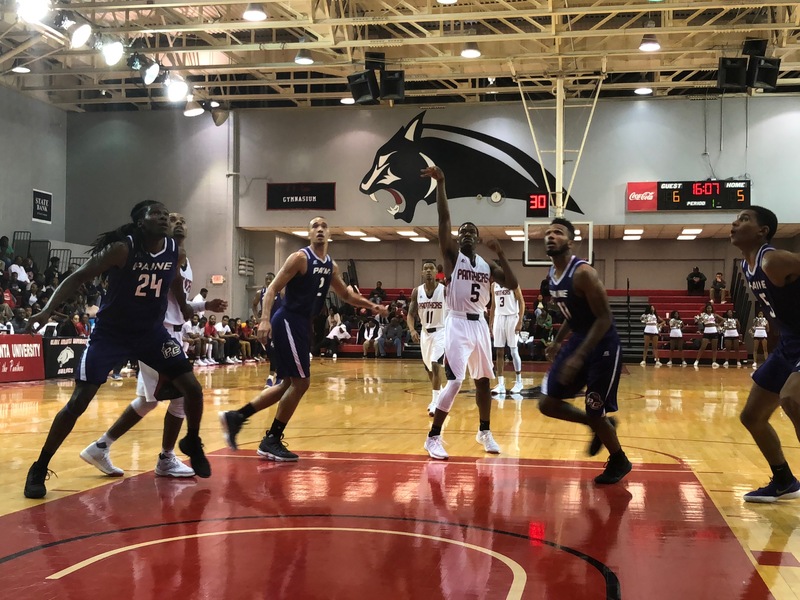 ATLANTA–The DJ was cranking up the music at every timeout, but Clark Atlanta (8-1) didn’t find its rhythm until after halftime. What was a manageable 32-23 deficit at the half for Paine College (1-5), quickly grew to a 20 point lead as CAU won its third straight game, 71-52 over Paine. Nearly half of CAU’s first-half points came from behind the arc, but in the second half, points in the paint got the Panthers rolling. Consecutive dunks from Akil Douglas and Damien Davis got the crowd onto its feet and put the hurt on Paine. Davis’ play was quite spectacular, he stole the ball on one end, dribbled three-quarters of the court with a nice behind the back move before finishing with a strong dunk. At that point, the lead was 18 points and growing. Jalen Mitchell led CAU in scoring with 17 points in just 21 minutes of playing time. Coach Darrell Walker’s team improves to 8-1 with the victory, while Paine continues searching for just its second win of the season. The Panthers are off until December 11, when they’ll take on Shorter College in Rome, Georgia. Paine will stick around the AUC for another day. They have a date with Morehouse on Saturday afternoon. The Clark Atlanta Lady Panthers (5-2) won their fourth straight with a 76-47 win over Paine College (0-4) in the opening game of the doubleheader. Lauren Turner, Alayna Ford and Reyana Miller all chipped in 14 points apiece for CAU. The Lady Panthers will welcome the WSSU Lady Rams into Epps gymnasium on Saturday afternoon. The Paine women will try their luck with the CIAA this weekend as well, taking on Johnson C. Smith on Sunday.